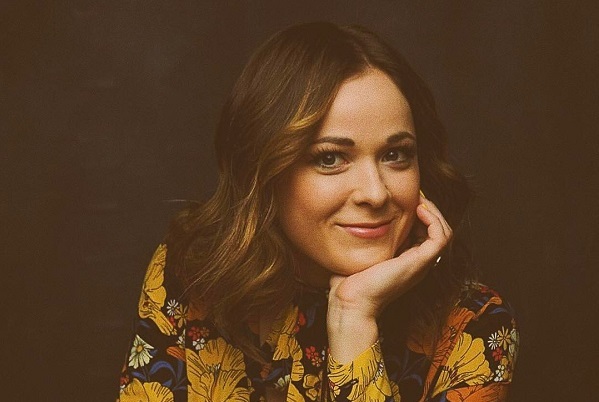 Singer-songwriter Jillian Jacqueline is a name that is becoming increasingly more common on the lips of country music fans. The Pennsylvanian native's strong catalogue of songs has recently been added to with the release of arguably the best country music single so far this year, God Bless This Mess. 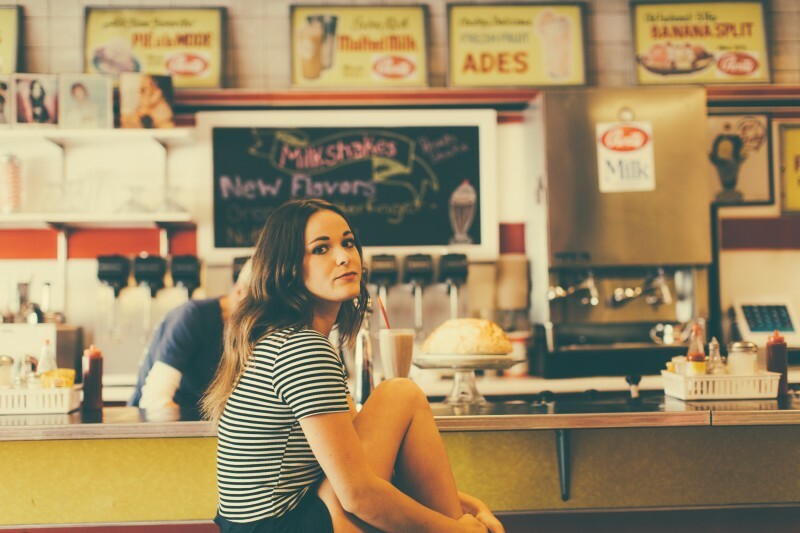 Written on her childhood piano and with a repeated piano hook throughout, Jillian oozes emotion into a track that is clearly very personal to her and has already resonated with listeners. The mix of strength and vulnerability throughout the track is grounded through the mix of different instrumental lines and alongside co-writers Tofer Brown and Lori McKenna Jillian has undoubtedly crafted a song that you will want to hear time and time again. I would urge everyone to download and enjoy! You seem to have been performing in one form or another for a large part of your life, how do you feel that helped to shape who you are as an artist now? That's a really good question, I think because I knew I was going to do this for some much of my life, growing up in a family band and I feel like it's made me feel a lot more confident in being an artist now that I've had so much practise through the years of writing songs and being on stage. I feel like it sort of gives me a bit more of an assuredness in who I am as an artist and in what I do. You mentioned you were originally in a group with your sisters, how did you find the transition to becoming a solo artist? Yeah, I was in a band with my sisters from age 10 until I was 17. By the time I was 16, 17, I felt like I'd been doing it with my family for quite a long time and I came to a point where I got a little bit burned out from us just being home schooled and touring all the time so I decided to take a hiatus from the band and realise more of a strong sense of myself internally as a song-writer and I had things that I wanted to say on my own that weren't really fitting in with the band's sound. I just started writing songs more on my own and performing. I had been doing some shows with Kenny Rogers by myself at that time and I just kind of felt like huh, maybe I feel more comfortable doing this solo and it just encouraged me to pursue that and give myself a chance to say some things that I might not be able to say in the family band setting. Oh my gosh, such a wide range! Artists like Patsy Cline and Patty Loveless were huge influences on me vocally and also just the way that they sang so emotionally. I also have a ton of song-writing influences that range from Carol King to John Mayer to Bryan Adams, Tom Petty is a huge influence. All across the board I just really love people who find a way to connect with the audience in the most honest way. I think the mix probably shows in the music a bit, I think my music is a bit of an array of different sonic landscapes, I pull from a lot of different influences when I'm in the studio recording which I think makes it sound particularly 'Jillian' [laughs], it kind of creates a sound that I don't think I've heard anywhere else. I try as many layers as possible when I'm pulling from my influences when I'm making my records. Do you find it easier to write songs from personal experience or to put yourself in someone else's shoes? Definitely personal experience, I honestly don't really like writing about things that I haven't experienced myself, I feel like I'm kind of walking through a dark tunnel blind [laughs]. I'm always trying to dig into my memory bank of something that happened to me the other day or a year ago or something someone said to me because I feel like the only way to really pull lyrics out that would speak to someone else is for me to understand what I'm saying and the understanding comes from the experience. How do you approach it if you're dealing with a more sensitive personal experience? Well I'm a pretty transparent person, I'm a bit of an open book when it comes to my feelings and emotions. My friends like to say that if we go out for dinner I'm probably going to tell them a lot of information that they don't want to know! [laughs] I prefer being really honest and transparent because I feel like that's the best way to connect with people and be human so for me, the more emotional and the more painful, the more constructive it is. The songs that I grew up really falling in love with were songs where I could really feel the singer's pain through their words and I think that's what makes really great artists great artists because they have the ability to just sort of stand there naked and bare it all and be completely transparent. Which has been the hardest song for you to write so far? That's a good question...my song "Hate Me" was particularly hard for me. It came out very fast but it felt really raw and very sensitive. It was something I was going through that week and essentially in the month before writing the song I had been wrestling with that thought process so the day that we wrote it I definitely teared up. I sang the demo that day and I was probably crying while I was singing it because it felt very soul-bearing, it was touching on all those bruises that you didn't really want to be touching. Even now when I sing it live it feels very real. Which song would you say fans have connected the most with? That's a good question, I think probably "God Bless This Mess" which was totally a surprise to me because originally I wasn't even sure if I was going to include it on my record and I wasn't quite sure if it fit in with the rest of the landscape of the record but I'm really glad we decided to go forward with it because I play that song live and I feel like...I put it at the end of my set because I feel like it's the song that really speaks to people the most and I have a lot of people that write to me about that song. I think it's probably because the message of it is very universal but it also has those lines about crying on the bathroom floor and knowing that the sun is going to come up the next day and just those moments that I feel like we've all probably experienced so I'm really proud to be a conduit for that message and that song because I feel like it's something that a lot of people need to hear. God Bless This Mess is your latest single and is one of the strongest singles this year, how was that song created? So that song was originally a song title that my producer actually had and she brought it to me, we were in New York at my dad's house, we were playing a show up there and I was sitting at the piano that I actually grew up learning to play, beautiful Yamaha piano. She sat down and we started messing with a melody, we probably wrote that chorus just stream of consciousness in about 30 minutes, all the lines kind of came out and it's just what we were feeling at the time. We kind of walked away from it and we didn't write the verses and then a couple of weeks later we tried to approach the verses and we had written two verses that we were like oh okay kind of cool but we felt in our gut that it wasn't quite there yet so we ended up taking the chorus to our writing trip with Lori McKenna - we went to Boston to write with Lori who is an incredible writer and one of my song-writing heroes - we played her the chorus and we started talking to her about ho we just couldn't get the verses right and she said something about 'here's to the brokens, the misfits and wannabes' and I stopped and I was just like 'what did you just say?!'. We just started hashing it out and those verses... from that perspective she bought we really just wrote those verses in 45 minutes, it all made sense. I was so thankful that she knew exactly how to approach that perspective and make it feel really honest but still super universal and something that a lot of people would be able to relate to and people can pick out who they are in the song, the all-nighters, the holier-than-thous, whatever, the diamonds in the rough, I love that, that we really named a bunch of different types of personalities and demographics that people could identify with. We finished that song and honestly I didn't think about it for myself because we began pitching it - my publishing company pitched it - and Tim McGraw and Faith Hill put it on hold for about a year so I wasn't really even thinking about it and they didn't put it on their record so when the time came for me to start recording my album I had all these people from my label being like 'what about "God Bless This Mess"' and I was thinking oh I don't know and eventually we just played it in the studio with the band to see what it felt like and immediately everybody was like we have to put this on the record. That song really snuck up on me and I'm really happy that it did because it's become something so special to me to sing to people every night. Can we expect to hear any news about a full length release from you soon? Yes! We are all ready for that full length release, the songs have all been recorded and they're all mastered and ready to go. What we're doing now is putting the songs out in a way that people can get to know the music in bits and pieces just before we put out the full album we're sort of giving some space for a radio tour and releasing a single but there's definitely a full length album coming in the new year so by early 2018 you will know when the album is coming. I'm so so excited for people to hear the whole thing and the response so far to just the first four songs has been really incredible and it makes me so happy that people are connecting. I'm really excited to let people know that there's ten more songs waiting for them to hear - and more! I'm writing all the time, that's my problem, I can't stop! I feel like by the time the record's coming out I'll have a whole other album ready to go! I am more than ready to release it and actually in the next couple of months we'll be putting out some more music - I haven't told anybody that yet but I'm telling you there will be a couple more songs coming that I'm super excited about. Of course! Yeah, that is the goal, to be playing all over the place. We've got a bunch of show dates coming up that I'm super excited about. I always want to try to bring the music to places that don't normally get a lot of country music. I hear that a lot, there's a lot of places in the world that don't get to see the artist and go to the shows and that bums me out so I'm always trying to find ways to play shows in places that don't necessarily get to see a lot of live music. 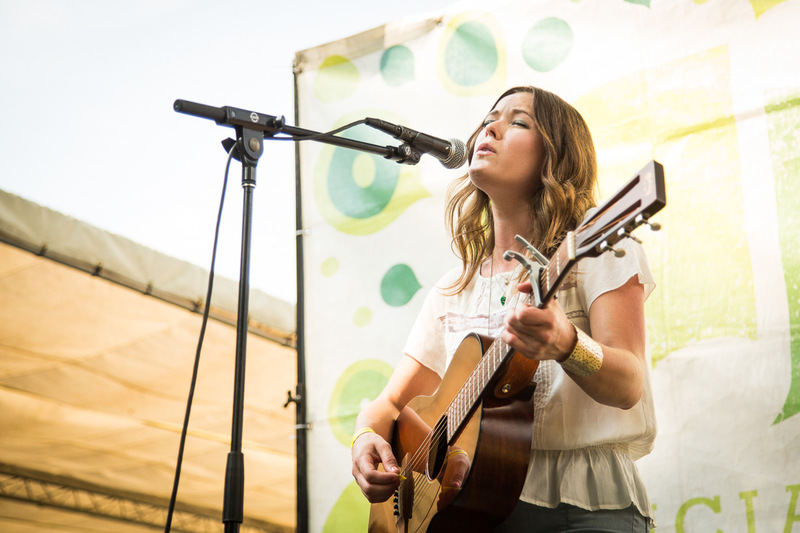 How do you deal with the pressures of touring alongside the rest of your career? Well right now it's all just been so much fun! It's been learning experiences...it can be a little bit stressful on the road because there's a lot of different moving parts and I'm meeting a lot of different people and trying to make sure the show is great every night despite how tired we are or if we don't have our own sound guy we have to worry about the venue's sound. There's a lot of things that go into it at this stage in the game but for me right now it's all just been kind of like dreamy and fun and I enjoy just travelling through cities, seeing the city and getting to meet people and seeing people in the crowd that are actually singing the words back to me - that's a whole new experience for me so right now I don't have any complaints but ask me in a year, maybe I'll have some then! [laughs] Right now it's just been really really fun. You've recently been announced as part of the line-up for Country Music Week, what made you decide to journey over to the UK at this point in your career? Well honestly when I first signed with my booking agency about a year ago one of the first things we talked about was coming to the UK just because I have a lot of friends that have travelled over there that play country music and they were telling me how much fun it is, how responsive the audiences are, how much they really want country music over there. My friend Sarah Zimmermann is in this band called Striking Matches and they've been travelling over there for a couple of years now and just been building a fan-base there and she was just telling me how amazing it has been to get over there and to see the reaction from the audiences. I had no opposition to it I was just super excited to try it! I think the fact that I've felt a lot of reaction from the UK already on my music online which is making me super excited to just get over there and meet the people that have been listening and who never get to see shows. Can we expect to see you begin to make the UK and Europe as a whole a regular tour stop? In my dreams yes! I will do everything in my power to make that a possibility because I really feel like there's such a growing audience there for country music. I think it just depends how well it goes when I'm over there in October, if it's awesome I will be hopefully coming back as much as possible. I was reading a couple of the comments from people about the announcements for Country Music Week, they were wondering if we were going to be anywhere outside of London and you forget when you live over here that London is just one part of a very large country! [laughs] In the future when we come back we'll have to make sure to hit a lot of those other cities. Where would you ultimately like to see your career take you? That's a great question, I think probably I would just love to have a steady touring life and just be able to continue to play shows for years to come and release albums and really not have any limits on my creative freedom. I know that's pretty broad but in this day and age, the way people consume music and the way the fans have so much available to them my only hope is that I can carve out a little bit of a fan-base for myself that stick with me through the years and continue to support what I do and wants to hear the music that I'm making 15-20 years from now. Obviously I feel like the more that you keep creating and keep writing good music people will hopefully be interested in that. So yeah, I think touring would be amazing, that's one of the hardest things to keep going but it's one of the most fun parts of the job so as long as I can get out there and play shows I'll be happy! Thanks to Jillian for her time! You can find her upcoming tour dates here and make sure you keep an eye out on her website and social media for details of upcoming new music.